15-Jan-2019: Ammonia, a compound first synthesized about a century ago, has dozens of modern uses and has become essential in making the fertilizer that now sustains most of our global food production. But while we've been producing ammonia at a large scale since the 1930s, it has been accomplished mainly in hulking chemical plants requiring vast amounts of hydrogen gas from fossil fuels--making ammonia among the most energy-intensive among all large-volume chemicals. A pair of researchers at Case Western Reserve University--one an expert in electro-chemical synthesis, the other in applications of plasmas--are working on fixing that. Researchers Julie Renner and Mohan Sankaran have come up with a new way to create ammonia from nitrogen and water at low temperature and low pressure. They've done it successfully so far in a laboratory without using hydrogen or the solid metal catalyst necessary in traditional processes. 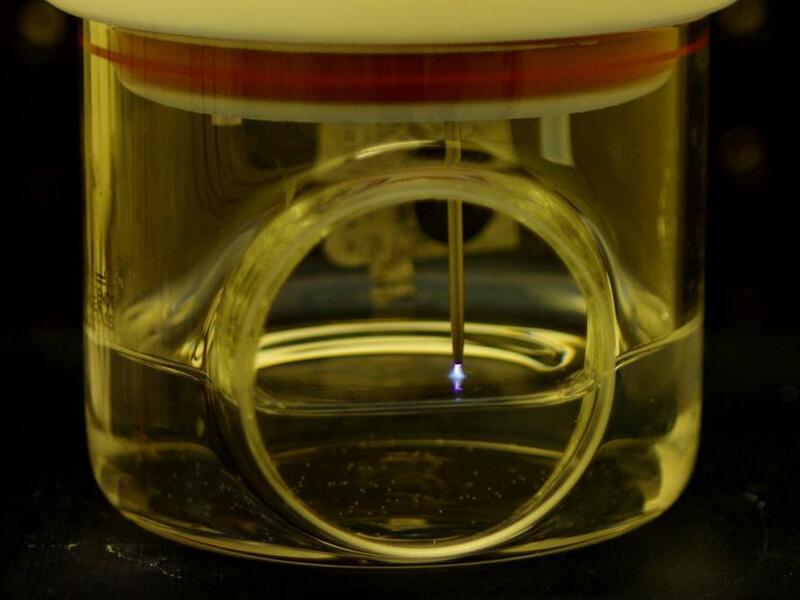 "Our approach--an electrolytic process with a plasma--is completely new," said Mohan Sankaran, the Goodrich Professor of Engineering Innovation at the Case School of Engineering. Renner, a Climo Assistant Professor in the Chemical and Biomolecular Engineering Department, added that because this new process doesn't need high pressure or high temperature or hydrogen, it makes it scalable--"the ideal kind of technology for a much smaller plant, one with high potential to be powered by renewable energy." Renner and Sankaran have resurrected an element from a little-known Norwegian method that predated Haber-Bosch (the Birkeland-Eyde process) which reacted nitrogen and oxygen to produce nitrates, another chemical that can be used in agriculture. That process lost out to Haber-Bosch mostly because it required even more energy in the form of electricity, a limited resource in the early 20th century. "Our approach is similar to electrolytic synthesis of ammonia, which has gained interest as an alternative to Haber-Bosch because it can be integrated with renewable energy," Sankaran said. "However, like the Birkeland-Eyde process, we use a plasma, which is energy intensive. Electricity is still a barrier, but less so now, and with the increase in renewables, it may not be a barrier at all in the future. "And perhaps most significantly, our process does not produce hydrogen gas," he said. "This has been the major bottleneck of other electrolytic approaches to forming ammonia from water (and nitrogen), the undesirable formation of hydrogen." "In our system, the ammonia is formed at the interface of a gas plasma and liquid water surface and forms freely in solution," Sankaran said. So far, the "table-top batches" of ammonia produced by the duo have been very small and the energy efficiency is still less than Haber-Bosch. But with continued optimization, their discovery and development of a new process could someday lead to smaller, more localized ammonia plants which use green energy.